This issue's spotlight is on the place founded to honor the greatest studio musicians in America past and present, The Musicians Hall of Fame & Museum in Nashville. Opened in 2006 by founder and curator, songwriter/producer Joe Chambers , this very cool museum champions the cause for recognition of musicians in many cases unknown or almost forgotten by the general public because they weren't the artist releasing the record. None the less we all know they were the ones making the music that will live forever supporting so many great singers and songs. 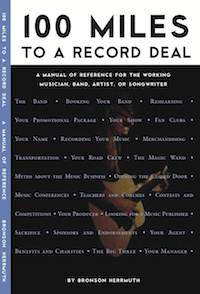 Crossing all musical styles and including musicians from studios all over the country like Los Angeles, Memphis, Muscle Shoals, Detroit, New York City, Chicago, not just Nashville. 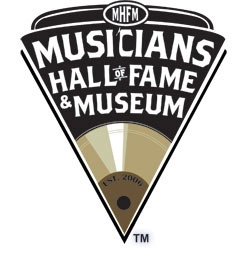 Located at 301 6th Ave. South, The Musicians Hall Of Fame and Museum is a 30,000 sq.ft. multipurpose complex which sits only one block west of the Country Music Hall of Fame in downtown Nashville. In addition to the museum it also houses a performance hall that will seat 350 people equipped with state of the art sound and lights and a reception hall with a capacity of 220 for dining, both available for rental. Private music lessons are available with some great instructors and the museum has a store where you can purchase various items and also memberships there or online. The museum's slogan is "Come see what you've heard," and that pretty much says it all. Just a few of the items on display include Pete Drake's steel guitars, heard on Bob Dylan's "Lay Lady Lay" and George Harrison's album All Things Must Pass. Eddie Willis' guitars, from countless Motown sessions such as "Signed, Sealed, Delivered". Will Lee's (NY session player and bass player on The Late Show with David Letterman), personal collection of platinum & gold albums along with instruments played. Billy Sherril's cigarette-burned piano on which he composed country classics like "Almost Persuaded," "The Most Beautiful Girl" and even "Stand By Your Man". Marshall Grant's basses, heard on Johnny Cash's "Walk the Line" and "Ring of Fire," along with the amplifier used on "Folsom Prison Blues" and "A Boy Named Sue," as well as Bob Dylan's Nashville Skyline album. The Nashville A Team: represented by Harold Bradley and Ray Edenton on guitar, Buddy Harman on drums, Hargus "Pig" Robbins on piano, and multi-instrumentalist Charlie McCoy. Now deceased, Pete Drake, Floyd Cramer, Boots Randolph, Grady Martin and Hank Garland. The Memphis Boys: represented by guitarist Reggie Young, bassist Mike Leech, drummer Gene Chrisman, and on keyboards, Bobby Emmons and Bobby Wood. The Wrecking Crew: represented by Larry Knechtel, Al DeLory, and Don Randi on keyboards, on saxophone Jim Horn, on guitars were Mike Deasy, James Burton, Billy Strange and Don Peak, on bass Lyle Ritz and Joe Osborn. The Funk Brothers: represented by Bob Babbitt on bass, on guitar Eddie Willis and drummer Uriel Jones, joined by the house band. The Blue Moon Boys: represented by James Burton on guitar and D.J. Fontana on drums, with Bill Black being deceased. The Tennessee Two: represented by son of Johnny and June Carter Cash, John Carter Cash on acoustic guitar, on bass Marshall Grant, joined by drummer Danny Seraphine (Chicago), Reggie Young on guitar and a horn section. Guitarist Luther Perkins now deceased. Guest appearances and performances by: Garth Brooks, Peter Frampton, Vince Gill, Amy Grant, Brenda Lee, Roger McGuinn, B J Thomas, Mary Wilson (The Supremes), Dobie Gray, George Jones, Rodney Crowell, Keith Anderson, Mandy Barnett, The Jordanaires, and Ray Scott.